Discreetness the Secret Choice in Rebel Stakes 2016: Better stay quiet on this selection, because Discreetness will offer value on Saturday in the Rebel Stakes (GII) at Oaklawn Park. While he finished seventh in the Southwest Stakes (GIII) last month, the connections are not discouraged and he presses on towards the May 7 Kentucky Derby (GI) in this prep race. Trained by William Fires and ridden by Jon Court, Discreetness has compiled a 3 for 5 record on dirt. Xpress Thoroughbreds owns the son of Discreet Cat. Fires believes a wide trip cost his colt last time. Indeed, the jockey seemed content to let the wide trip happen. Rather than go for a more aggressive strategy of laying close, or falling back behind the crowd, Discreetness broke from the 14th post position and stayed around the outside path approaching the first turn. At least six horses were inside him on the actual turn. He continued to race wide throughout the early portion of the race and began to move nearing the second turn. Once he hit fifth place though, Discreetness’ rally hit a roadblock and he could not sustain the run. Luna de Loco, who also ran wide around the first turn and ended up floundering, returned to win an local optional claiming race over a decent field which included the notable Rated R Superstar. Discreetness deserves the benefit of the doubt and might be able to turn the tables with a more inside post. Besides Discreetness, a couple of horses can win the Rebel. Starting from the rail, Creator comes into the race off a seven-length win in a local maiden race. The Tapit colt is trained by Steve Asmussen and owned by WinStar Farm. Jockey Ricardo Santana takes the mount again. Next to him, Ralis makes his return after finishing 14th in the Breeders’ Cup Juvenile (GI). Whenever a Doug O’Neil-trained horse owned by Reddam Racing shows up, the public tends to overbet the horse. The switch from the outstanding Javier Castellano to Mario Gutierrez fails to make the contender appealing. One spot right, Cupid makes the trip to Oaklawn for trainer Bob Baffert. 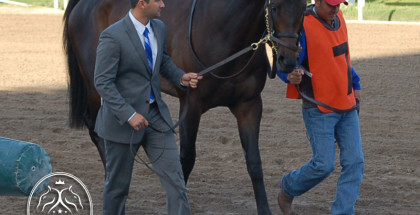 He broke his maiden by over five lengths at Santa Anita Park in his initial route attempt. The connections paid a high price for this $900,000 son of Tapit. A bit further out in the seventh slot, Creator’s stablemate Madtap goes for his third win out of six tries, as he tries to build on his six-length victory in a local optional claimer. In the eighth post position, American Dubai attempts to keep the momentum going after a solid third in the Southwest. He endured the pace and kept on going, while Suddenbreakingnews and Whitmore took advantage. Whitmore, unfortunately for supporters, draws the 12th post position this time. He began from the second slot in the Southwest. 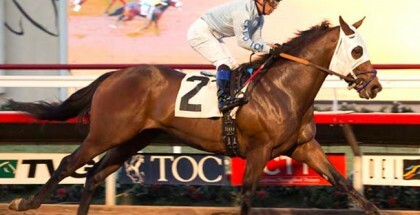 Physically, he still gives the appearance of a horse more suited for sprinting. To the right, Cherry Wine will need to overcome a wide trip as well. In January, the Dale Romans-trained runner won an optional claiming race at Gulfstream Park by six lengths. Suddenbreakingnews starts from far outside. Jockey Luis Quinonez chose to take back in the Southwest, which allowed his mount to save ground (at least compared to Discreetness). The same strategy appears likely. Obviously, there are not many wrong choices in the Rebel. In a large field without a huge superstar, it is a good idea to support a horse who offers value because the favorites are not a whole lot more talented. Discreetness, despite possessing the same ability as Suddenbreakingnews, will offer value and should be used in tickets. 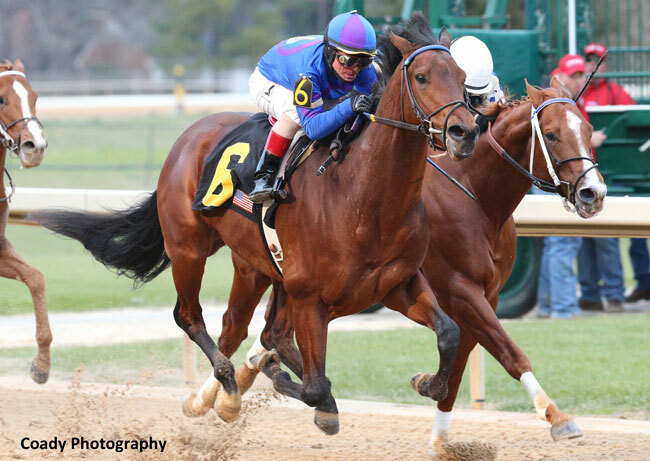 Discreetness (6), ridden by Jon Court, slips past Gordy Florida (5) and jockey Glen Corbett to win the $150,000 Smarty Jones Stakes on Monday at Oaklawn Park in Hot Springs. Discreetness, a 9-1 long shot, passed Gordy Florida with a 16th of a mile to go. With the victory, he moved into eighth place in the Kentucky Derby standings.